THE WRITING BUDDHA - Opinions | Books | Movies: BOLLYWOODISM:- Acme Web Marketing is giving away Flipkart vouchers! 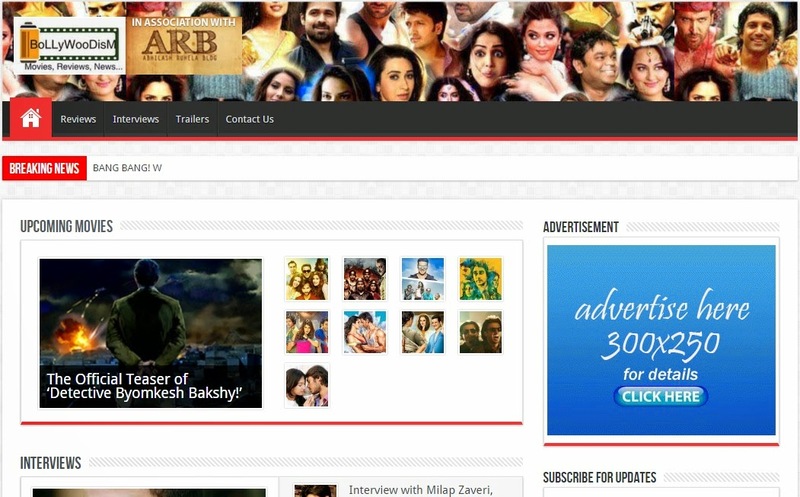 BOLLYWOODISM:- Acme Web Marketing is giving away Flipkart vouchers! I had created the website- Bollywoodism with a dream that I would take it up to the level where everyone who is interested in Bollywood films would check it before any other sources/portals. I also wanted to share news without posting any gossips, rumours or unconfirmed news to maintain its credibility among viewers/readers. After 3 months of working on the website single-handedly, I realized a fact that it won't be easy for me to take it up to the level I want to take it all by myself. Co-incidentally, at the same time, Acme Web Marketing, an online Digital Agency that deals into Driving Traffic to the Website Via E-mail, PPC, SEM, SEO, SMO, Mobile etc, contacted me and asked if I would like to collaborate with them for Bollywoodism. As I was already looking for a partner, I read about them and immediately signed the agreement. In last 3 days, they worked on the website and revamped it completely. I would, thereby, like to inform all of you that Bollywoodism is launched with its new look this Diwali. All of you are welcome on the website and we would love to hear your feedback. As its Diwali, Acme Web Marketing decided to gift each of its customer with something. Hence, all you have to do is: Open the website www.Bollywoodism.com. In the right column, you will find a box asking you to enter your email address to subscribe for updates. Once you do it, you will receive an email for confirming your subscription, click on the link provided and you are done. Within few hours, you will receive flipkart coupons and vouchers in your email ID which will help you in shopping endlessly this festival season. I would like to thank Acme Web Marketing for their great support and passion for my invention- Bollywoodism. I am sure it will reach heights under their supervision. And people who might have got confused what's my role now; well, I am still the reviewer and writer on the website. It's just that all the other aspects are being handled by the Acme team. That's all.